The International Caspian Oil & Gas Exhibition and Conference, the largest energy event in the Caspian region, marks its 25th anniversary this year. An important part of the event’s business programme is the International Caspian Oil & Gas Conference which will be held from the 30th to the 31st of May at Fairmont Baku Hotel. 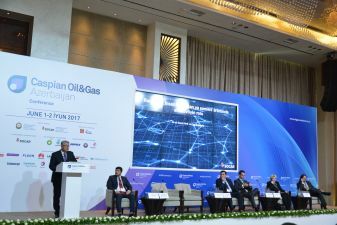 As a recognised international platform and the key event in the region’s oil and gas industry, the conference has been bringing together senior level directors every year to discuss key oil and gas projects in the Caspian region and ensure energy security. The Ministry of Energy of the Republic of Azerbaijan and the State Oil Company of the Republic of Azerbaijan (SOCAR) both show invaluable support for Caspian Oil & Gas. The organisers of the conference are ITE Group and its partner Iteca Caspian. 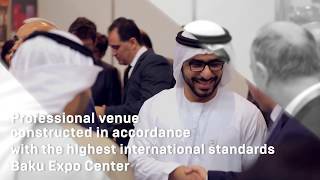 This year the conference welcomes over 500 top managers of leading companies worldwide, along with representatives of line ministries and well-regarded industry experts, and offers the opportunity to exchange views on topical issues with regard to the development of the oil and gas industry. This year, at the conference will be organised a media center, which will host a studio and a press center for journalists. The schedule of the press center is extremely eventful. Directly at the conference will be broadcasted live interviews with industry leaders, with the first persons of the largest companies participating at the conference from different countries of the world. Thus, the conference provide suppliers with the opportunity to talk to customers and colleagues, to present technologies and services in action, to acquire useful business contacts, and to get new information and technologies, expanding the opportunities for international collaboration in the oil and gas sector. All detailed information is available at www.oilgasconference.az.